Our Youth Ministry's goal is to strengthen the bond our young parishioners have with God, allowing them to fully participate in the celebration of our faith, and by empowering them to live as true Disciples of Jesus. Please contact Kevin Cooney at the parish office for more information 865-986-9885. Our youth program is for children and young adults in grades 6-12. The youth ministry of St. Thomas the Apostle expanded its reach from high school students to include middle school young people. 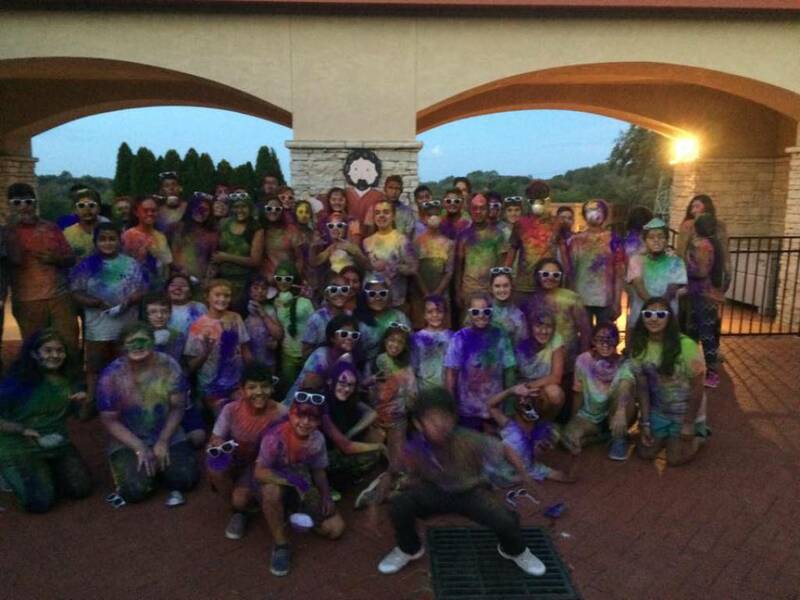 The high school group is Life Teen, and the middle school ministry is called Edge. Life Teen enrolled approximately 40 students and averaged about 30 in attendance on alternate Wednesday nights throughout the school year. These students served the parish by serving at various functions throughout the year. The parish picnic was again staffed by these young people and their adult leaders, as were the Pasta, St. Patrick’s, Polish, and Our Lady of Guadalupe dinners. Life Teen also served as hosts for one evening of the Las Posadas program. The youth minister organized a group of volunteer musicians, and under the direction of Marla Emerson, instituted a “Life Teen Mass”. The fourth Sunday of each month, Life Teen youth served as lectors, ushers, and Eucharistic Ministers at the 11:30 Mass, featuring contemporary music played by our Life Teen band. In October, our Life Teen group also produced and hosted a night of music, reflection, and Adoration, which was attended by 350 people from six different parishes. XLT-East TN featured popular Christian singer Sarah Kroger and her band, as well as national speaker Dom Quaglia. This evented was presented by St. Thomas free of charge, and was the only one of its kind in the diocese. In January we brought 23 young people and adults to Washington D.C. to participate in the March For Life. We shared a charter bus with St. Therese of Cleveland, driving through the night, arriving at 6 am for the Youth Mass and Rally. After the March we had dinner, jumped on the bus and arrived back at St. Thomas at 5 am the next morning. It truly was a pilgrimage, and one our kids have asked to repeat this year. The Life Teen component was staffed by the youth minister and a Core team of six adult volunteers. Under their direction our young people packed bags of donations from parishioners and made two trips to Knoxville to feed the homeless in our Brothers Under the Bridges program, visited a nursing home at Christmas, sold Poinsettias, and attended Catholic Heart Workcamp in Atlanta. Catholic Heart had a noticeable spiritual impact on the 20 attendees. Their week of shared service, sacrifice, and worship, led to an increased thirst for faith and inquiry. As a result, we organized 15 students to attend a weekend conference in Atlanta, presented by Franciscan University of Steubenville, and Life Teen. Music, Mass, witness, speakers, small group reflections, and Adoration struck a deep chord with our young people. This shared spirituality led to them asking to continue meeting throughout the summer. Each Wednesday night we would gather in the youth room and share questions and discuss topics that affect them most as young people trying to live their faith in a challenging world. The Edge program is the middle school component of Life Teen. It was initiated this year with the goal of engaging that age group in a fun, relational, yet faith based format. In preparation for the Diocesan change in the age required for reception of the sacrament of Confirmation, the 90 young people who completed the Edge program were confirmed by Bishop Stika in the spring. Our prayer is that these young people will continue to stay involved in Edge and then Life Teen as they move through their teen years. I am happy to say that over 50% of those in Edge last year are back again. Now they are here because they choose to, rather than doing so to fulfill a requirement for receiving a sacrament. A number of last year’s 7th and 8th graders attended Catholic Heart Workcamp and Steubenville with our life Teen group. They also chose to participate in our Wednesday night summer sessions. Once again, a solid Core of volunteers, 13 strong stepped forward to help engage our youth in relational ministry. These people are the backbone of our ministry. Between Life Teen and Edge this year we currently have 140 young people enrolled. We plan to do many of the same activities and attend the same camps and conferences as last year. We also plan to send a large group to NCYC, the National Catholic Youth Conference, held every two years in Indianapolis. Our group will be part of 30,000 young Catholics in attendance. This witness of faith to teenage Catholics living in East Tennessee will illustrate the scope and universality of the Catholic Church in a way they have never seen. We also plan to add an upperclassmen night called “Penance and Pizza“ on Tuesday nights. Students will come for Confession between six and six thirty, and convene afterwards in the youth room for some shared food and faith. These activities could never be possible without the direction and leadership of our pastor. His commitment to the youth of our parish is now the standard for much of our diocese. Fr. Doug has chosen to share the financial generosity of his parish with those most challenged by our culture. Without the continued financial support of St. Thomas the Apostle, few of these young lives would ever be as spiritually impacted as they have been in the past few years.